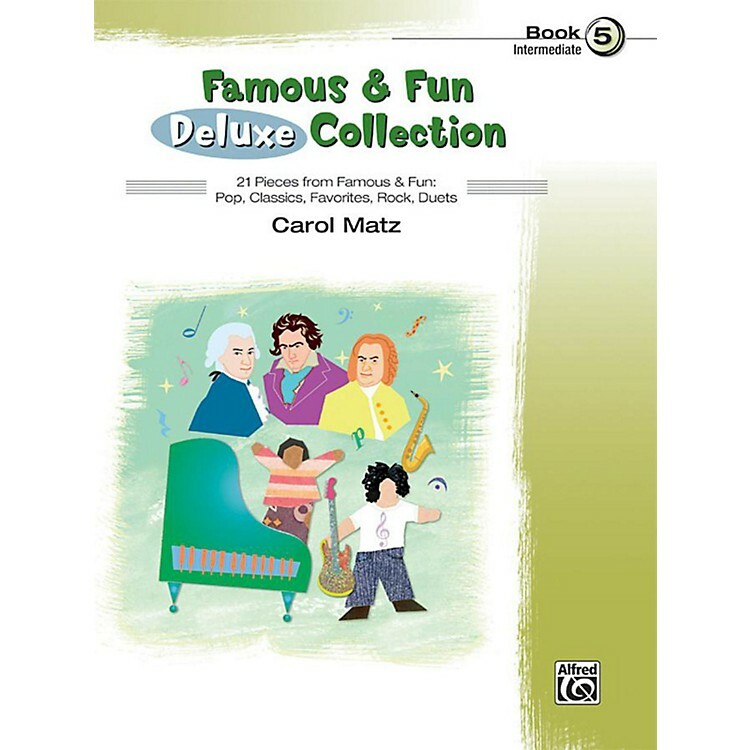 The Famous & Fun Deluxe Collections contain well-loved selections drawn from Famous & Fun: Pop, Classics, Favorites, Rock, Duets, and Pop Duets. These teacher-tested arrangements are student favorites, and can be used as a supplement to any method. Titles: Alexander's Ragtime Band * America (My Country, 'Tis of Thee) * Beauty and the Beast * Canon (Pachelbel) * Clair de lune * Don't Stop Believin' * Eye of the Tiger * Habanera (from the opera Carmen) * If I Only Had a Brain (from The Wizard of Oz) * Imagine * The Imperial March (Darth Vader's Theme) * In the Hall of the Mountain King (from Peer Gynt Suite) * The James Bond Theme * Maple Leaf Rag * Musetta's Waltz (from the opera La boh¨me) * New York, New York (Theme from) * Over the Rainbow * The Star-Spangled Banner * Un bel d (from the opera Madame Butterfly) * Under the Sea (from Walt Disney's The Little Mermaid) * Washington Post March.